Kvinna till Kvinna is excited to announce it will start working in Tunisia. “This is our chance to participate in the ongoing democratisation process and to support the Tunisian women’s movement,” says Jenni Wisung, field representative for the Middle East and North Africa. Historically, women have enjoyed a stronger position in Tunisia than in many other countries in the Middle East and North Africa (MENA). They also played an active role in the 2011 protests leading to the Jasmin revolution and helped set in motion a democratisation process that continues to this day. Since then, Tunisia has held democratic elections and adopted a new constitution. At the same time, the country struggles with high unemployment, security problems, antagonism between Islamist and secular political parties as well as persistent dissatisfaction in society, particularly among the youth. Traditions and conservative attitudes still prevent women from participating fully in society. There has also been an increase in violence in Tunisia, which affects women and children. “Just like the rest of civil society in Tunisia, large parts of the women’s movement were established only very recently. But there’s an overwhelming enthusiasm and will among women to get engaged and participate in the creation of a new Tunisia,” says Jenni Wisung. 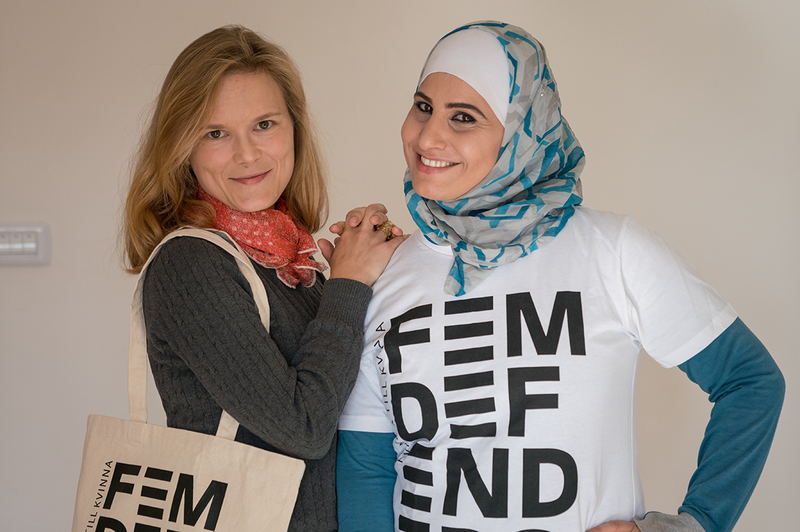 Kvinna till Kvinna has years of experience of cooperating with women’s movements across the MENA region. In Tunisia, Kvinna till Kvinna wants to help women’s rights organisations unite and share experiences. Another goal is to increase cooperation between actors, both within Tunisia and in the wider MENA region. “One of the organisations we’ll be partnering with is Aswat Nissa. They invite women politicians from different parts of Tunisia to participate in a political academy, to increase mutual respect and dialogue and bridge ideological and social divides,” says Jenni Wisung. In the future, Kvinna till Kvinna will be supporting other Tunisian partner organisations as well. While Kvinna till Kvinna’s Tunisia work is currently conducted from Jordan, an office will be opened in Tunisia during 2018. ”We will continue to support Tunisian women’s organisations in their work to increase women’s participation in politics, stop gender-based violence and change harmful gender norms,” summarises Jenni Wisung.